When Mississippi rejoined the Union following the Civil War, the state was obligated by law to operate “a uniform system of free schools” for all children. This condition for statehood was written into the state’s constitution. The Southern Poverty Law Center filed suit in the U.S. District Court for the Southern District of Mississippi, Northern Division, on May 23, 2017, on behalf of four mothers whose children are languishing in kindergarten and first grade in the Jackson Public School District and the Yazoo City Municipal School District. According to the suit, the state began to “dilute” the education clause in 1890, at the start of the Jim Crow era, and the state’s malfeasance has only worsened since. The school district in Jackson, the capital, is the state’s second-largest. The student body is 97.51 percent African American. 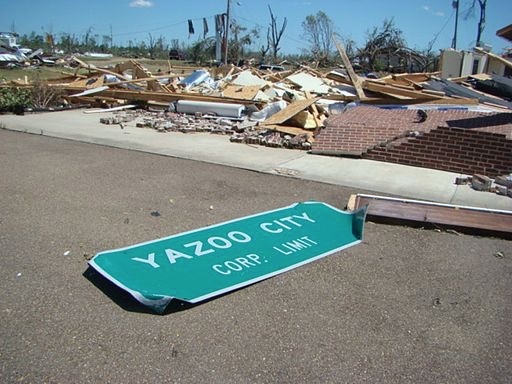 The students attending Yazoo City’s public schools are 99.17 percent African American. These two districts received a grade of “D” from the Mississippi State Department of Education. Thirteen of the state’s 19 school districts that received an “F” rating are more than 95 percent African American. The other six range from 81 percent to 91 percent African American. The federal suit names just about everyone from Mississippi Governor Phil Bryant to the members of the Mississippi State Board of Education. Governor Bryant is not impressed. “This is merely another attempt by the Southern Poverty Law Center to fundraise on the backs of Mississippi taxpayers. While the SPLC clings to its misguided and cynical views, we will continue to shape Mississippi’s system of public education into the best and most innovative in America,” Bryant said in a statement to NBC News. Winning the case for integration in court can be elusive. In 1974, the U.S. Supreme Court held that unless there is proof that racial discrimination in a school district is intentional, the U.S. Constitution protects the status quo. This lawsuit filed by the four mothers in Mississippi may not immediately benefit their children even if they do eventually win. In Connecticut, Milo Sheff was a Hartford fourth-grader when he served as the lead plaintiff in a landmark 1989 lawsuit challenging segregation of Connecticut’s public schools. He and his family paid a personal price for their actions: Sheff had to be escorted to school, he and his family received death threats, and reporters harassed them. Eventually, in 1996, the Connecticut Supreme Court ruled for Sheff and the countless children who will benefit from their effort to claim their civil rights and the right to education. Still, two-thirds of Connecticut’s black and Hispanic children continue to attend segregated schools.